Modern cars contain a lot of technology to make your life easier. Here are the information and entertainment systems we reckon are the best. Modern cars present us with a dizzying amount of information. Not only are we bombarded with details of our surroundings and destination, but they increasingly act as portals for the endless streams of data that we all carry with us. As a result, the way we interact with a dashboard has become of primary importance, with designers having to balance complexity with safety and legibility with style, and then integrate it all into the interior. 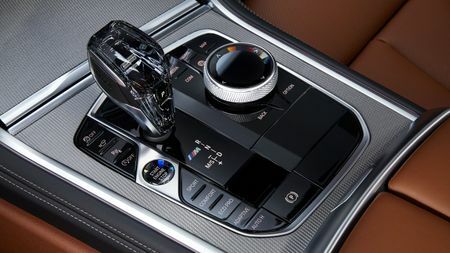 Most modern cars offer multiple ways of doing the same thing, with infotainment systems replacing traditional dials and switches, all controlled via touchscreens, voice command, gesture control and duplicated functions on dashboards and steering wheels. 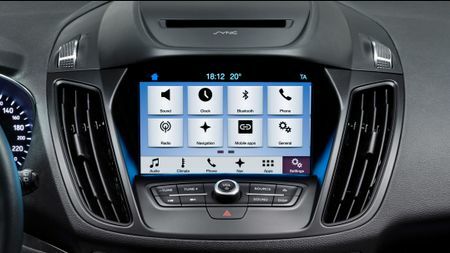 So whose infotainment is best for keeping your eyes on the road, your messages read and your route in check? These are our current favourites. BMW was one of the first car companies to realise the importance of in-car information. Unfortunately their original tech, the iDrive, was dismissed as overly complex when in debuted back in 2001 by a public unfamiliar with anything even remotely smart. But seven generations later, BMW has now mastered the art of control. 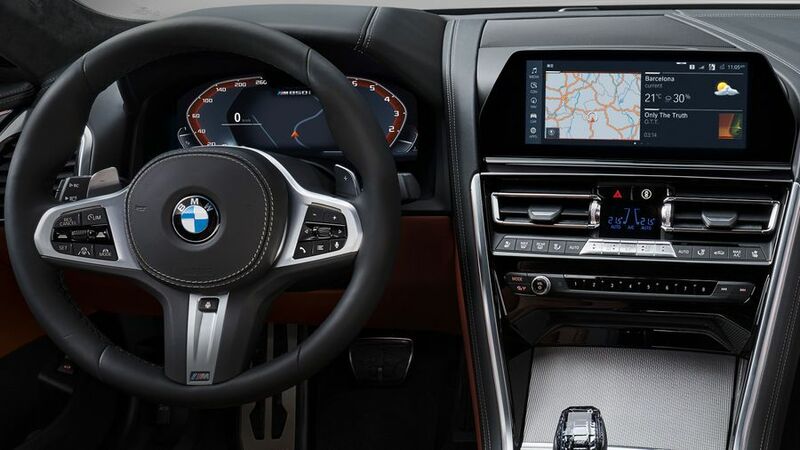 Operated by a rotary dial in the centre console, iDrive powers audio, navigation, heating and ventilation, alongside the myriad sub-systems you'll find in a modern car. Seats now come with the Spanish manufacturer's Full Link system, displayed via an 8.0-inch infotainment screen that syncs with your smartphone, through Android Auto or Apple's CarPlay. This is a burgeoning sector of in-car tech, allowing drivers to reap all the benefits of familiar apps via their phone's connectivity. 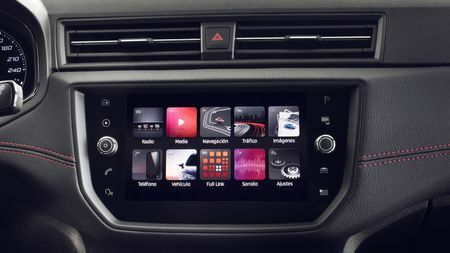 Seat is also the first car-maker to bring Shazam's song-finding services and Amazon's Alexa voice experience into their cars. The latter should be head and shoulders above the often-rather-dodgy speech recognition baked into some other vehicles. The Swedish car-maker has stuck firmly to its principles of safety and simplicity, even when it comes to the newest technology. 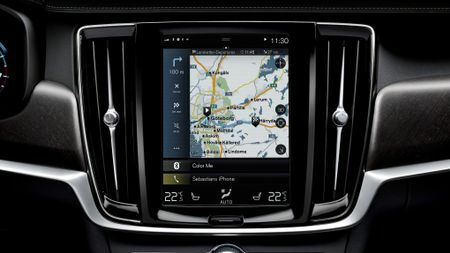 That's evidenced in the Sensus touchscreens found in the XC90, XC60, V60 and V90. 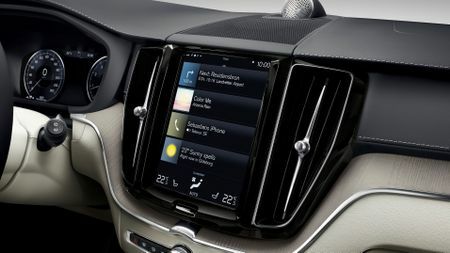 Blending just the right ratio of buttons-to-screen, Sensus does the usual catch-all job of controlling the car’s navigation, climate and systems, but tries not to bury regularly-used functions beneath layers of menus. The end result knocks the socks off more premium offerings with its simple graphics and welcome lack of complexity. 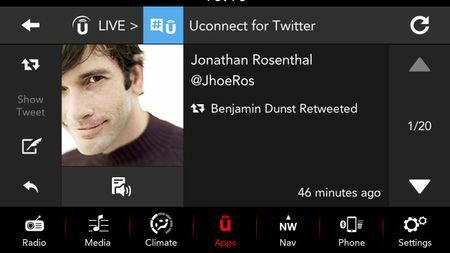 Fiat deploys Uconnect across its brands, including the Jeep family. 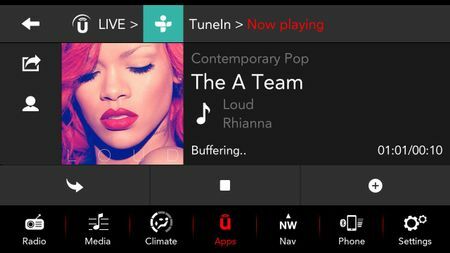 It has a fairly basic interface that allows phones to be docked, tunes to be listened to as well as the usual collection of navigation and entertainment options, and also includes a partnership with BeatsAudio on selected models. Bold, colourful graphics evoke the little 500's signature retro style in technological form, while the touchscreen is combined with a bank of shortcut buttons to ensure you're never lost. 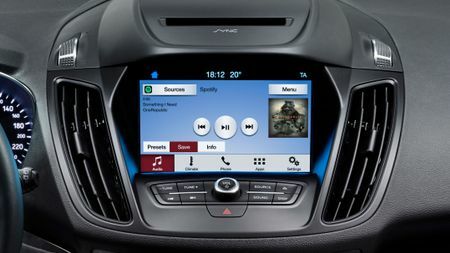 Ford's Sync 3 isn't an interface for lovers of colourful icons. Instead, Ford has gone minimalist, with an system that has to fit into a wide range of cars. Eschewing whizzy graphics in favour of simplicity and speed, Sync 3 works just as well in the entry-level Fiesta (where it occupies an 8.0-inch screen) as it does in the Mustang sports car. With both CarPlay and Android Auto, alongside Ford’s own suite of intuitive apps, it’s a rare case of mass-market design stealing a march on the best efforts of the premium brands.